We are a General, Cosmetic Dentistry and Orthodontic practice with a special focus on Pedodontics, caring for the smiles of young patients. Dr. Talmood and staff can provide these dental solutions to the people of Fullerton, Brea, La Habra, La Mirada, and Anaheim. Our practice is dedicated to enhancing the natural beauty of your smile using procedures that will result in a healthy natural looking bite! 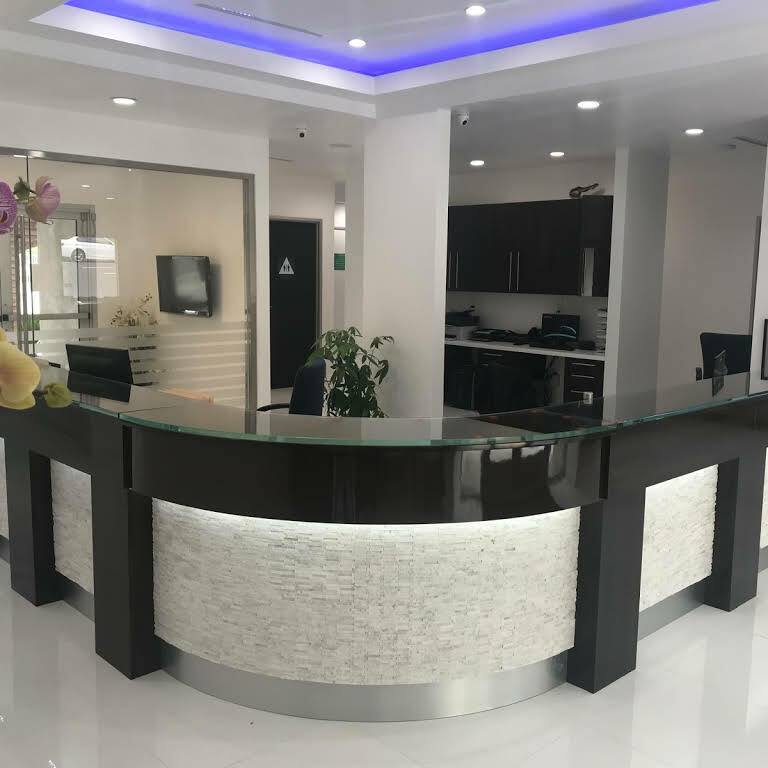 Our office offers full dental treatment to care for your oral health including General dental services, Cosmetic treatments, Restorations, Dental Implants, Orthodontics (Traditional Braces and Invisalign®), and Root Canal Treatment (Endodontics). We offer free consultations! You have many options when it comes to choosing the right dentist for you, which is why we strive to deliver high quality and caring service. We take comprehensive treatment to heart and will create a treatment plan that is tailored to your specific needs. By utilizing the latest and most prudent techniques and equipment, we are able to maximize comfort using the least intrusive procedures. 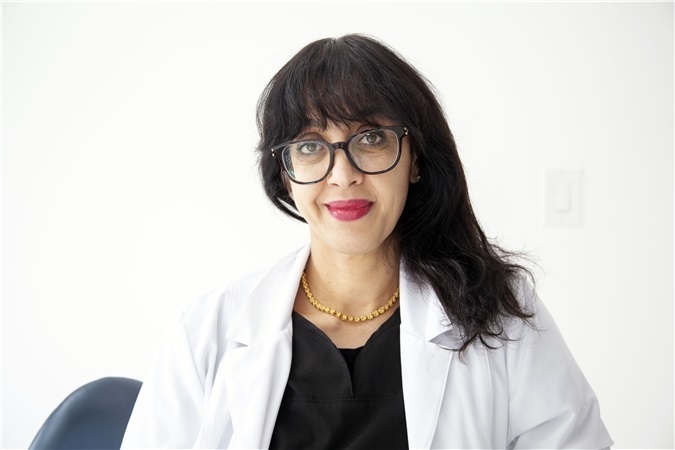 Dr. Talmood is dedicated to providing gentle dental care and takes the time to make sure her patients understand all of their dental options and how they can improve their smile. 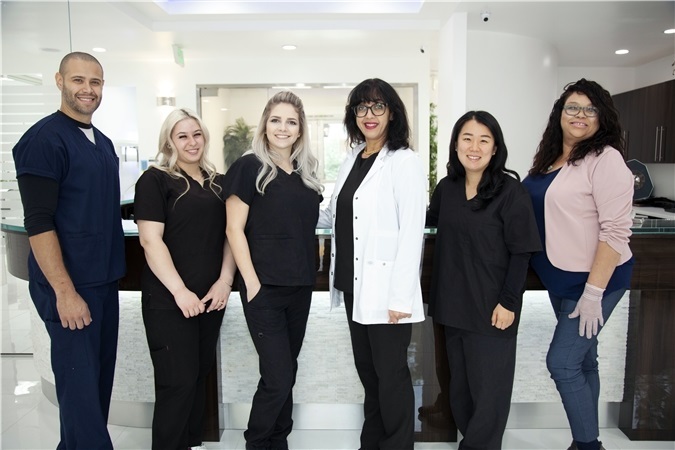 With an exceptional training and educational background from USC, Dr. Talmood's patients can rest at ease knowing they are in the hands of an experienced professional that is passionate about oral healthcare. Contact our office today to learn more about our team or to schedule a visit! As a practice which also specializes in periodontics, we are concerned with the growing rate of periodontitis, or gum disease, in this nation. In order to combat the prevalence of this serious condition, we gear our Fullerton dental practice around preventive care and patient education which are essential tools for maintaining optimal dental health. By providing routine cleanings and other preventive measures such as regularly inspecting the overall health of your dentition, we are able to keep abreast of any changes or warning signs that may present themselves as a risk to your oral and overall health. Dr. Talmood is a graduate of USC. Coming from such a fine institution you can rest assured that she takes your health very seriously. In order to assure that we are serving you to the best of our abilities, our staff undergoes many hours of continued education annually. We also attend dental lectures, meetings, and dental conventions to stay informed of the latest techniques, the newest products, and the most advanced equipment. Also, as members of several professional organizations including the American Dental Association, the California Dental Association, and the Orange County Dental Association our English-Spanish bilingual dentist Dr. Talmood regularly networks with dental colleagues to stay abreast of new methods and procedural changes. It is our sincere hope that our devotion to the aforementioned principles will allow us to provide the best patient care possible. To us, that not only means providing personalized care and making sure your visits as comfortable and pleasant as possible but also building a trusting relationship and addressing any concerns you may have about undergoing treatment. We thank you for allowing us to take care of your dental needs and look forward to serving you. If you live in the Fullerton, La Habra, La Mirada, Brea, or Anaheim area, contact our office for an appointment today! Be sure to check out our special offers for money saving deals! We look forward to making you smile, by making that smile a beautiful one!